Where do you want to live out your senior years? Even if you’ve never thought about it before, chances are you’d want to keep living in your own home – it’s your home, after all! Most Canadians feel the same way. In 2013, a survey conducted by RBC found that, given the option, 83% of us would prefer to age in place – keep living at home and pay for home care as needed, rather than at an assisted-living facility or with family members. These are all great reasons, yet a lot of us aren’t taking steps today that could help us keep living independently in the future. The same survey found that 37% of homeowners “have never seriously considered home renovations to make it easier to age in place.” Why not? Many of them replied that they didn’t feel old enough to need them yet, or that they had no disabilities that hindered their use of their home. The trouble is, it’s difficult to predict when a person might develop a disability or lose mobility. Illnesses and injuries can happen suddenly, leaving people unable to do daily activities such as climbing stairs, cooking, housework, home maintenance, etc. RBC’s survey found that, among respondents who were retirees, a change in health was the most common reason for deciding to move out of their home, ahead of downsizing or freeing up equity. Don’t forget that many home modifications are meant to prevent accidents and injuries, including falls, which are particularly dangerous to seniors. Each year, 20% to 30% of Canadians aged 65 and older experience a fall. Falls cause 85% of seniors’ injury-related hospitalizations, and half of those falls happen at home. It never hurts to think ahead. If you want to age in place or help a senior loved one age in place, you can start exploring your options today. 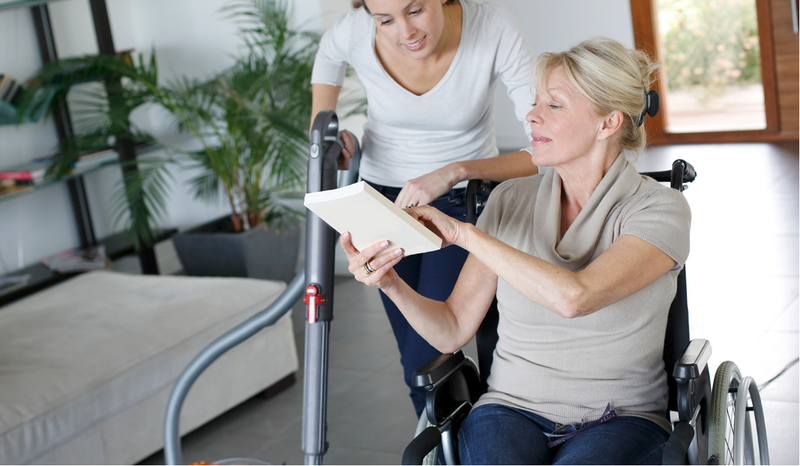 The first step is to assess the home, perhaps with help from an occupational therapist. It’s possible that a residence isn’t suited for senior living – maybe it’s too large or too remote, for instance. In that case, you can think about alternatives, such as a different home, a retirement residence or assisted living. Often, homes can be made safer and more accessible with minor or major home modifications. Small, inexpensive changes that can make a big difference to a senior’s comfort and safety include installing railings and grab bars; improving lighting for hallways, staircases and rooms; eliminating tripping hazards (rugs, power cords, uneven surfaces); changing doorknobs and cabinet pulls to lever handles; adding higher toilet seats; and widening doorways to accommodate walkers and wheelchairs. Consult a contractor with experience in accessibility upgrades; you may want to look for one who is a Certified Aging-in-Place Specialist (CAPS). Many Canadians don’t know that tax credits, grants and loans are available for aging-related home modifications. The federal government offers the Home Accessibility Tax Credit (HATC) for renovations that allow someone to “gain access to, or to be mobile or functional within, the eligible dwelling” or that reduce the risk of harm in the home or in gaining access to the home. For total qualifying expenses up to $10,000 per year, the maximum non-refundable tax credit is $1,500. Some provinces and territories have additional programs; learn more here. For many Canadian seniors, home health care is a key part of aging safely at home. Whether seniors need medical services, personal care, transportation, housekeeping or companionship, home care can help them live independently for as long as possible – and provide peace of mind to their families. For information on how home care helps seniors age in place, call Bayshore HealthCare at 1-877-289-3997.